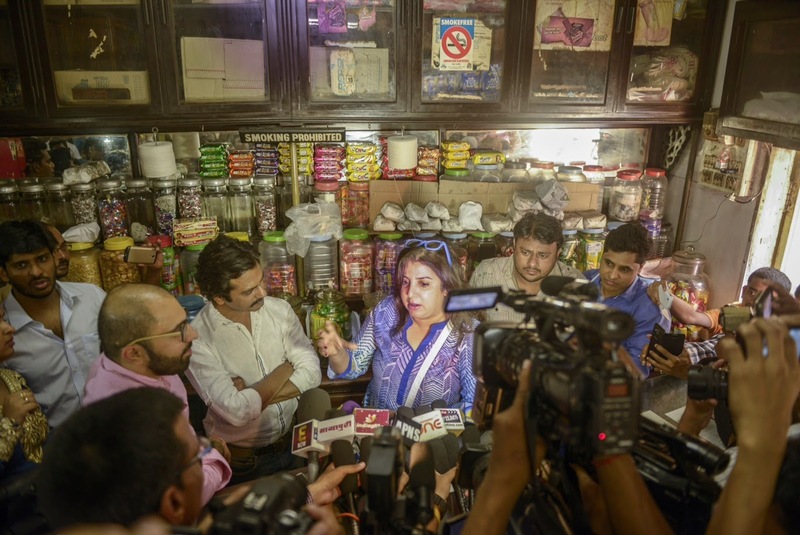 ORIENT PUBLICATION: workshop conducted by Ritesh Batra's production company Poetic License with Farah Khan and actor Nawazuddin Siddiqui on April 4 at Merwan Cafe in Grant road. 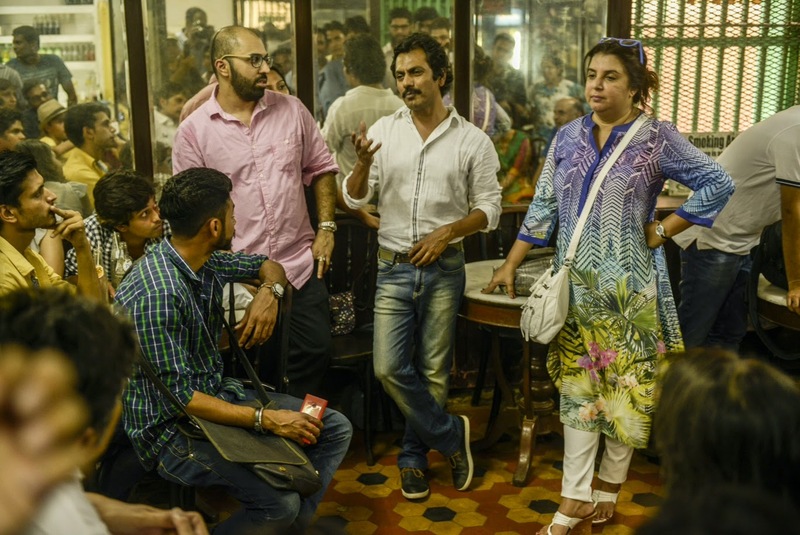 workshop conducted by Ritesh Batra's production company Poetic License with Farah Khan and actor Nawazuddin Siddiqui on April 4 at Merwan Cafe in Grant road. 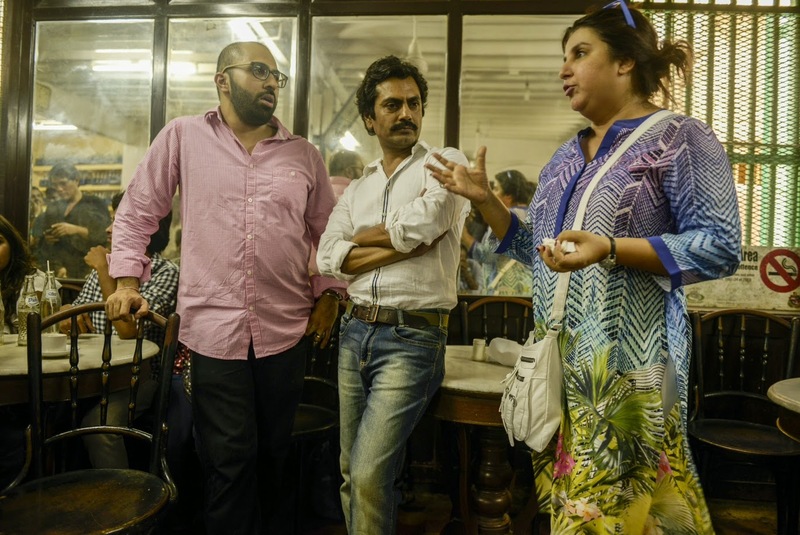 As a part of his initiative to revive the Irani Cafes in Mumbai, Ritesh Batra's production company Poetic License is doing a series of events at different Irani Cafes across the city. The first three sessions were at Koolar Cafe,Kyani cafe and Excelsior cafe. In 1920's there were many Irani cafes now there are only about 20-25 left. It is important to revive these cafes as they are Mumbai's identity. If we don't save them, the lovely environment of these cafes will die out. This initiative should surely help in reviving these cafes." "Irani cafes are dwindling because no one wants to come here anymore. The children of cafe owners do not want to pursue this profession as they want to go abroad to get white collar jobs. This is the real situation which is sad. My niece Farah likes coming to my cafe off and on and loves our mawa cakes. 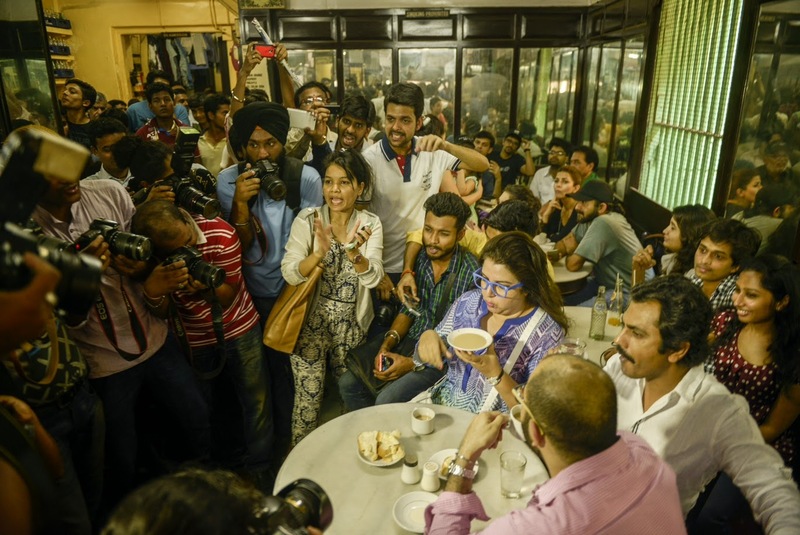 I am positive that her coming forward for this new initiative will definitely make a difference to review Irani cafes"
Farah Khan specially ordered for 5 dozen of her favorite mawa cakes for everyone who had attended the workshop.
" I use to frequent this cafe a lot during my childhood days, I have some very fond memories here with my family and uncle. My all time favourite are the yummy mawa cakes that they make." In the interactive session of one hour, Farah and Nawazuddin shared their thoughts on the acting and directing process and Ritesh Batra moderated the talk.